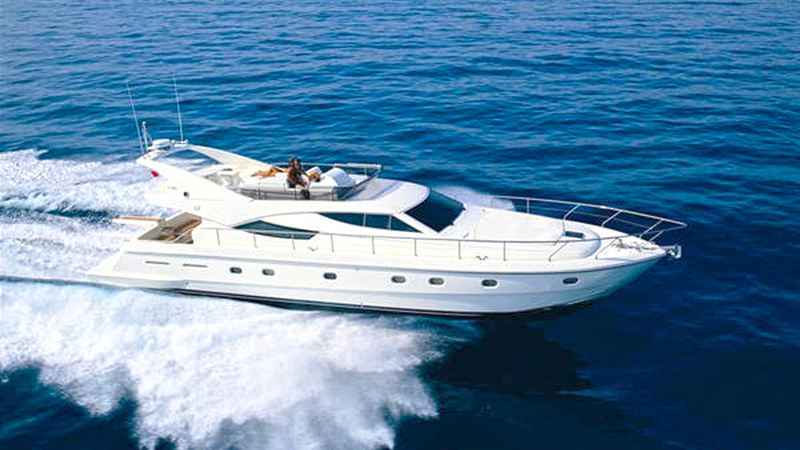 Motor yacht ANTARES II was launched by the prestigious Italian shipyard Ferretti in 2000 and measures 18.75m (61.6ft) in length. 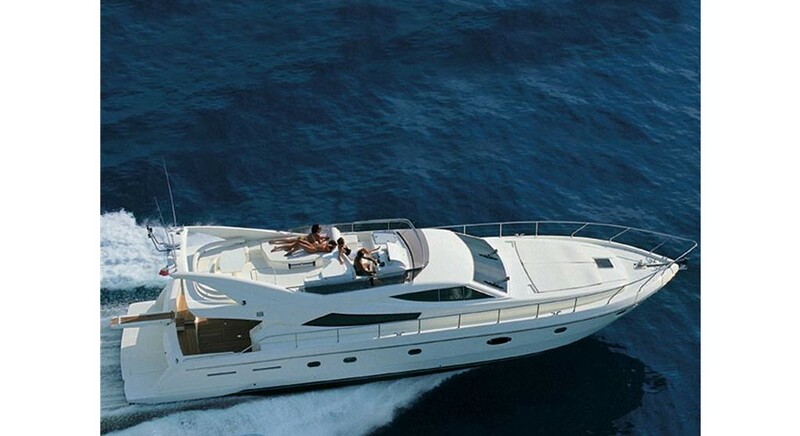 Based in Palermo, Sicily all year round offering accommodation for up to 6 guests, ANTARES II boasts the perfect combination of spacious living areas and performance speeds. M/Y ANTARES II has a contemporary timeless interior décor, featuring fine cherry wood panels and joinery, supple leather soft furnishings and ample natural light. The salon is well-appointed and social, ideal for entertaining, offering 2 large sofas and formal dining table. 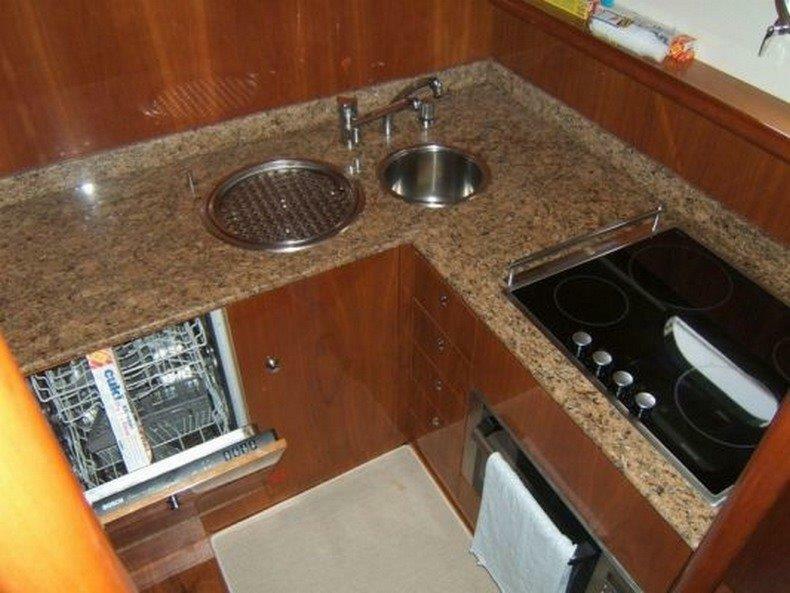 The galley is below decks to starboard, neatly tucked away, to provide additional guest space for relaxation. 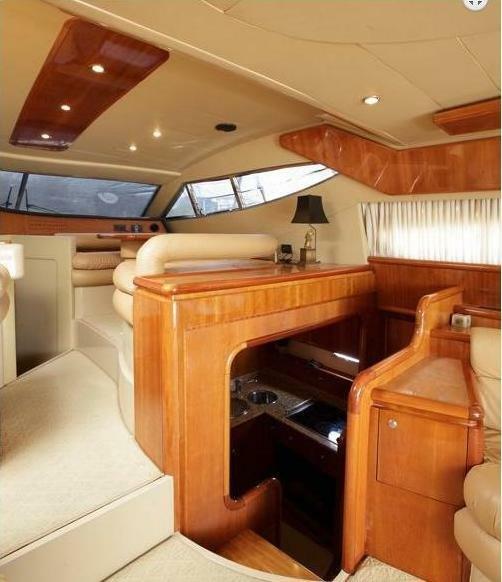 Forward, the interior helm station has further seating, enabling guests to enjoy the exhilarating speeds ANTARES II is capable of. Guest accommodation is below decks, in 3 en-suite cabins. 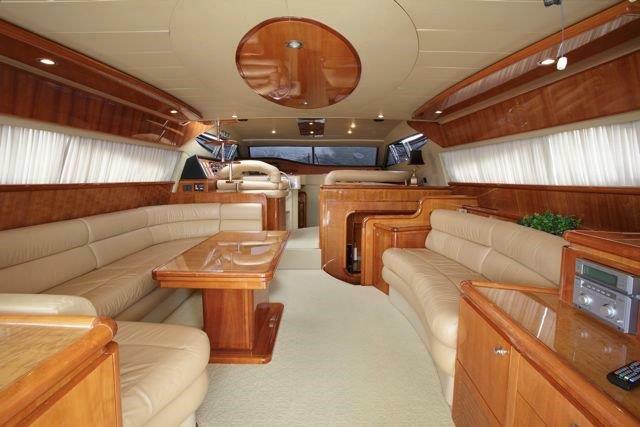 On deck, Ferretti have effortlessly created plenty of exterior living. The aft deck is shaded and offers seating and an alfresco dining option. An extended swim platform ensures guests ease off access to the azure waters, of the West Mediterranean. 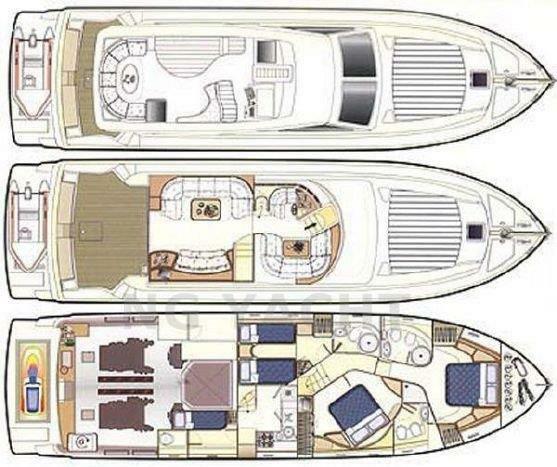 With 360° wrap around decks, the foredeck will be sure to entice the sunlovers to the double sunpad. Motor yacht ANTARES II is a flybridge design, where an alfresco dining option, sunpad and seating are awaiting, perfect for casual entertaining by day, or a romantic starlit dinner by night. Powered by 2 x 1200hp MAN engines, the ANTARES II motor yacht easy glides on her planing hull at 26 – 34 knots. 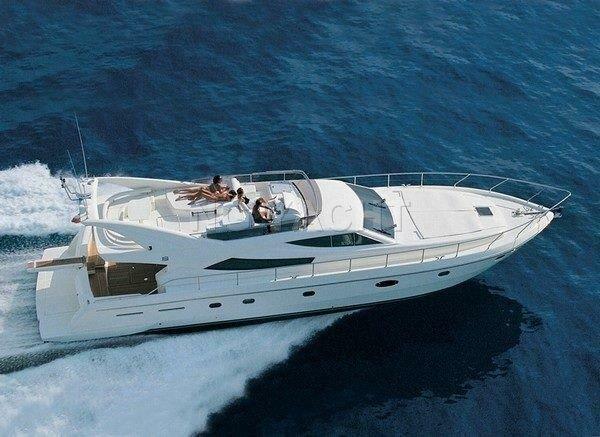 Luxury crewed charter yacht ANTARES II offers accommodation in 3 en-suite cabins, for up to 6 guests. 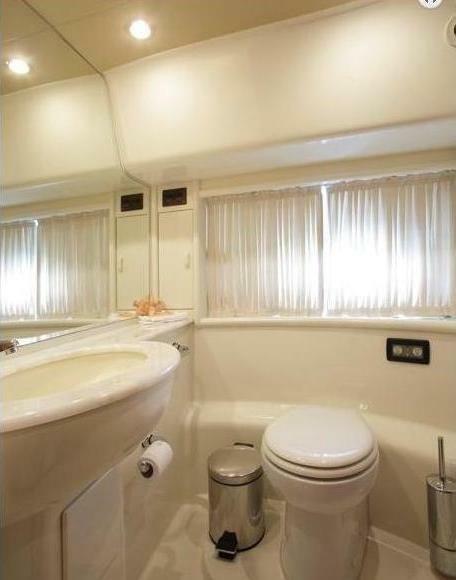 The professional crew of 2 has separate quarters, for optimum guest privacy. 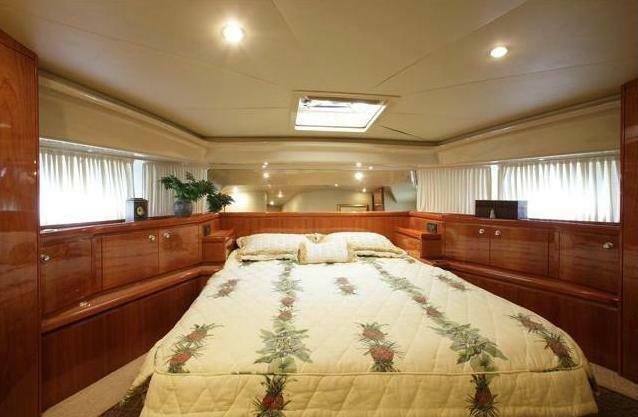 The master cabin is forward and full beam of the yacht, with a queen size bed. 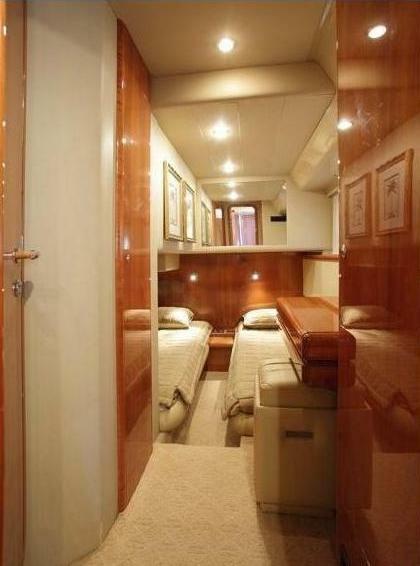 A VIP cabin is to starboard with a double bed. 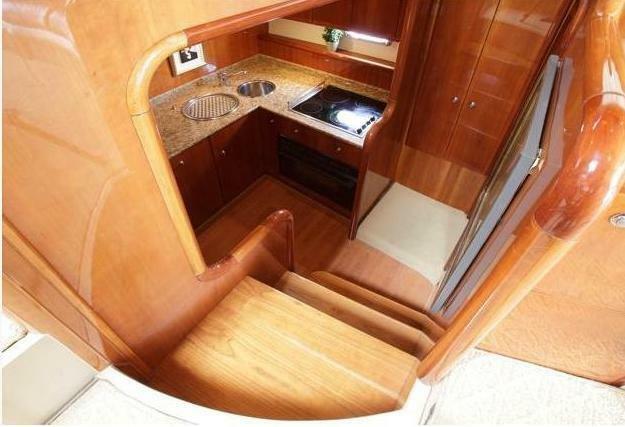 A further twin cabin is on the port side, with 2 side by side single beds. 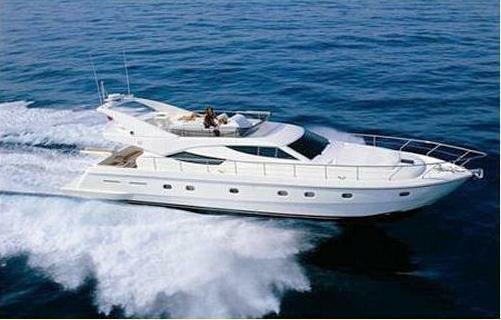 M/Y ANTARES II is fully air conditioned throughout.